Whether you’re looking to add features, improve security, speed up performance or just check out something different, you’ll find no shortage of browser options for Android. We’ve dug through the list and highlighted 5 choices we feel make a great replacement for the stock Android web browser or Google Chrome. What we like in a web browser might differ from what you like. Dolphin crams a long list of features into a browser that still runs snappy and remains easy to use. Its sheer versatility and established history land it as our editor’s pick. Features include Flash support, tabbed browsing, ad and pop-up blocking, bookmarks, incognito mode gestures and more. It’ll even let you download videos from your favorite websites over Wi-Fi for offline viewing later. Have multiple phones or tablets? You can sync all of your Dolphin Browser bookmarks and settings between devices. There’s even theme support if you prefer to add a personalized touch to your apps or phone. Overall, it checks all the boxes—though maybe more than some might like. Where the full version of Dolphin offers everything you could think of in a mobile browser, the Zero Incognito version strips things down to the bare essentials. It’s a privacy-focused browser with a simple interface. Launch the app and browse the web—complete with ad blocking and flash support. When you close the app, it clears cookies, deletes history, erases location information and cleans up a load of other personal bits that might still float about. It also supports the “Do Not Track” protocol for sites that allow it. Better still, the app requires less than 1MB to install. This makes it great for older phones or phones with limited storage. Whether you’re looking for a minimalist browser, are concerned about privacy or simply want an option you can let your friends use for checking Facebook without messing up your settings, Dolphin Zero Incognito is an excellent pick. Brave combines a user-friendly mobile browser with flexible settings to help keep your personal information safe. While it’s not the most feature-packed option on the list, it allows you to set privacy options on a level many other browsers won’t. Features include HTTPS Everywhere, ad-blocking, script blocking, third-party cookie block and automatic history clearing. App authors claim you’ll see a 2x to 4x speed increase over the stock browser. While we can’t benchmark things that closely, we noticed a difference over the stock browser on our Galaxy Mega and Fire HD tablets. They also claim these optimizations result in lower battery usage and decreased data consumption. If you’re looking to squeeze every kilobyte out of your monthly data allotment, Opera Mini Browser is the browser for you. It offers multiple levels of data savings that work with Opera servers to reduce the file sizes of images and other data-heavy items on websites as you browse. Switch to the extreme mode and you can pull up a list of every file on the site without having to load the site itself. You can then set videos or other large files to download and they’ll download to your phone when you’re back on Wi-Fi. Other features include private browsing, tab support, syncing between multiple phones or tablets, a screen dimming night mode, Facebook notifications and a video downloader for capturing your favorite videos for offline viewing. While the other apps on this list look and feel much like a standard mobile browser, Flyperlink takes a different approach. Instead of running in the typical full-screen mode, the app uses a pop-up to let you browse without having to exit your other apps. This makes it great for looking up guides while playing a game, search for information while chatting with friends or check out something else without interrupting your movies or music. You can minimize sites to little bubbles that sit at the edge of your display. Each site has its own bubble so you can quickly pop between them. While it’s not for everyone, the novel approach makes it a great option for heavy multi-taskers. The only downside is that the app has ads. But if you find Flyperlink useful, removing them is easy with an in-app purchase. Choosing the perfect browser for everyone is tricky. So we wanted to set some basic considerations to limit options. We wanted to highlight options that offered unique benefits depending on how you use your browser. One of the best aspects of mobile technology is customizing it to fit your needs and style. But if we missed one of your favorites, we want to hear about it. There might be other readers who find your favorite perfect for their needs. Just reach out to us on social media or leave a comment below. P.S. If you’re frequently using your mobile browser as a second screen while at your laptop or personal computer, we recommend checking out Pushbullet. While its major feature is allowing you to send SMS messages from your PC, it also makes it super simple to share links or files from your mobile browser with your computer. 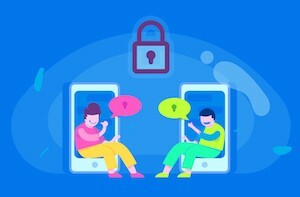 You can even encrypt the connection if you’re working with sensitive information or files. Chrome isn't an alternative browser given that it's the default as of 4.4+. Thanks! Interesting article, as for me I prefer Dolphin Browser. Dolphin is realy fast. Dolphin and Chrome they both are the best alternate for default android browser. If you want to have the best browsing experience then both browsers are excellent to use.